Schiller range of ECG machines are internationally recognized for their cost effectiveness, ease of use and accuracy. The diverse portfolio in-cludes solutions for resting ECG, exercise ECG and spirometry. 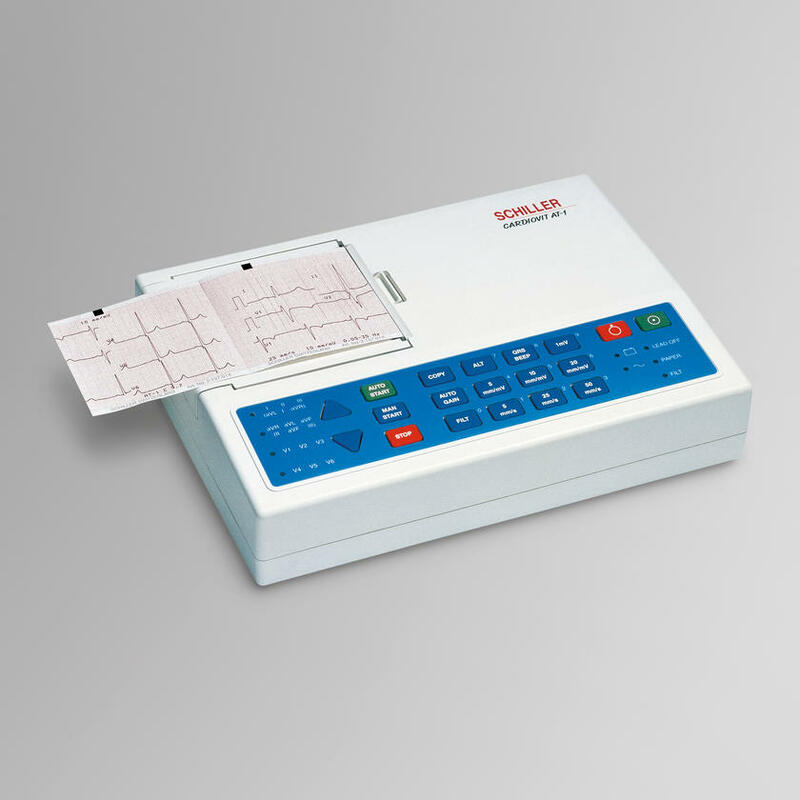 Offering high value performance and excellent value for money, Schillers ECG machines are ideal for use in stationary practice use, hospital bedsides and ambulatory field work. The CARDIOVIT AT-1 is the best selling 3 channel ECG worldwide and is offered at the cost of a 1 channel sys-tem. 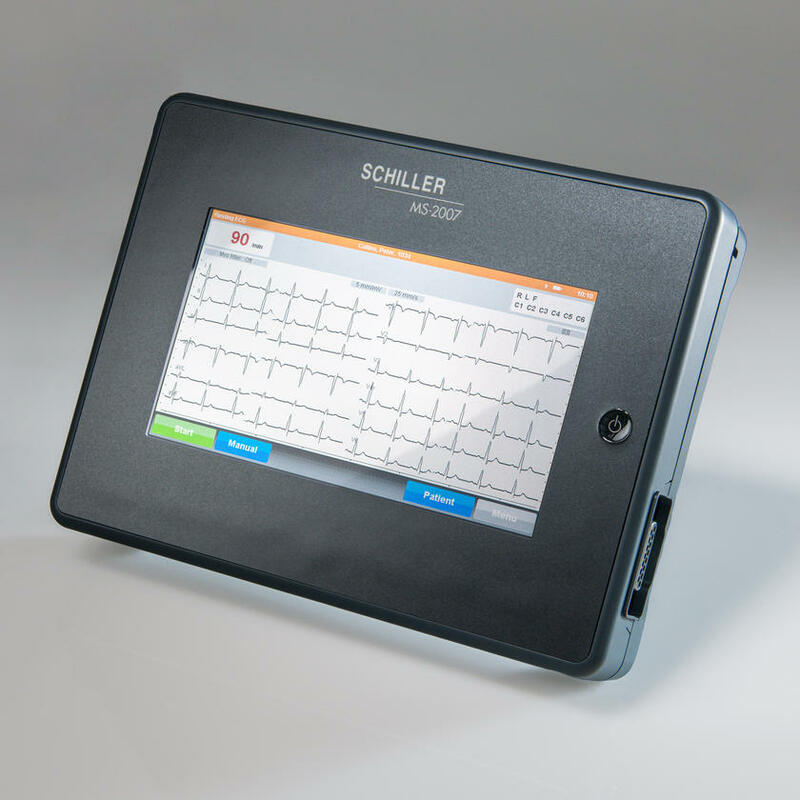 Schillers range of touchscreen ECG are ideal for clinical settings where speed and quality are needed and ECG volume is high. The portable, easy to use touchscreen ECG technology allows for “connect and click” workflow ensuring high quality ECG data and a paperless workflow. Providing the highest quality with 12-channel ECG systems, clear re-sults are guaranteed allowing you to focus entirely on diagnosis and treatment. Schillers range of ergometers have been developed according to the latest European guidelines. 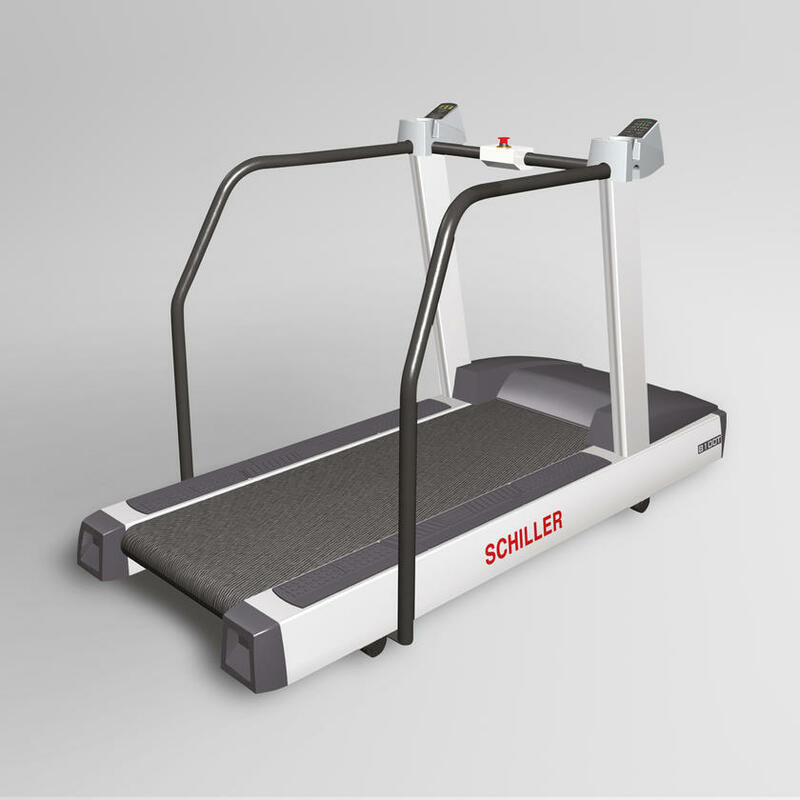 The broad range of ergometers includes bicycle, hand, couch, seat and treadmill systems. The ergometers ben-efit from very high durability, robust designs and safety while remain-ing at an excellent price offering. The devices are extremely quiet , require very little maintenance and are compatible with all Schiller exercise ECG.